Having quick and detailed access to a new source of industrial supplies is going to benefit any business within commercial construction, as you will always need to have the right resources and tools available to you. Getting the most success possible from every job that you work on is going to be determined, by and large, about the tools and supplies that you are using; in modern construction, the equipment is as important as the actual people working on the job. At Tri-Fast Systems, we make sure to always provide our clients with a selection that will catch the eye. With a dedicated customer service team that can make finding the right kind of products and supplies that you need easier than ever, we make sure that you have access to the finest library of products available. Additionally, we make sure that all of our clients are able to benefit from bulk order discounts, as per our specific offerings. The benefits of having additional industrial supply options to pick from should not be lost on any business that is within construction – you never know when a supplier could let you down, or when you need an extremely specific kind of product. 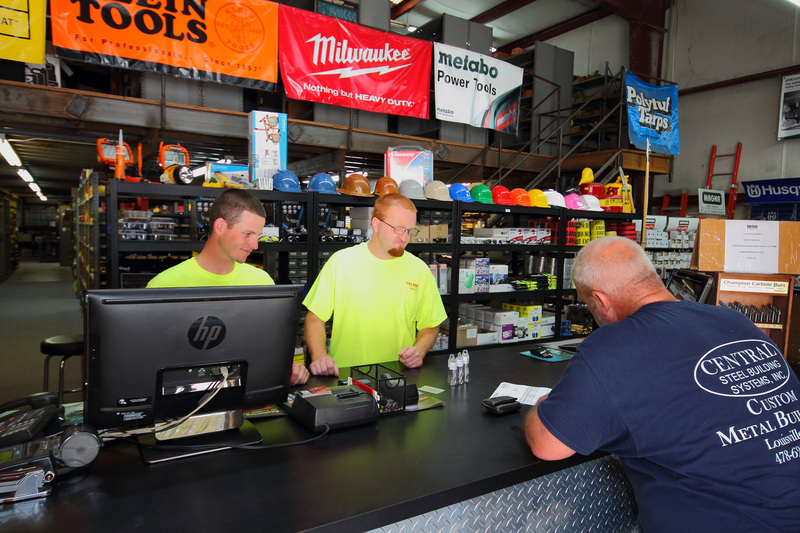 With a team of experts who are truly organized in their specific departments, we make sure that any businesses in need of fast assistance and supply will be able to get the help they need without having to go over the top. It all comes from being able to get the right line of supply every time that you need it; and this is what we excel at here at Tri-Fast Systems. We are accurate and quick in our responses, making sure that you are able to get the right supplies, support and equipment for your upcoming tasks. If you are worried that you don’t have the right volume of supplies in store for your next operation, we are more than happy to take away the stress and strain that this can cause with a quick and easy solution. If you want to put an end to your days of trying to get the right kind of industrial supplies at a time that suits your staff and your clients, you only need to give us a call. We know the vital nature of commercial construction and this is why we try to provide such a consistent and clear service. When you can understand what we mean and we can take in every last detail of your requirements, the chances of success become so much higher on any construction task; regardless of its size. If you wish to take things to the next level, our huge selection of industrial supplies can make it easier than ever to construct effectively.